Hi, my name is Sara and I’m a craftaholic. It all started when I was a little girl and my mum would lay out boxes of pom poms and pipe cleaners for us to create with. I still love the feeling of glitter between my fingers. 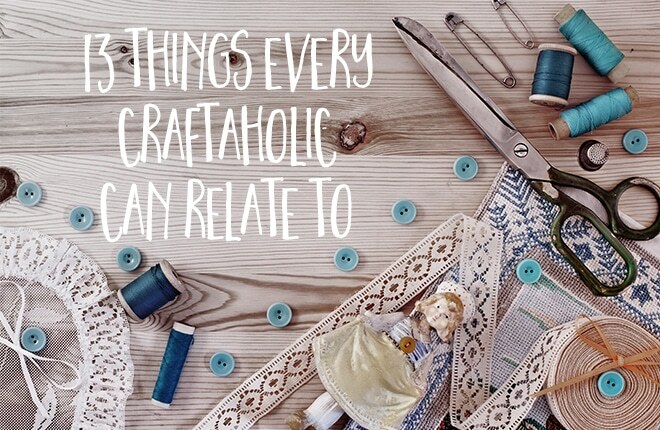 If you are a crafter like me, you will relate to everything in this list below. Know that there are others like you. Other women (and men) who love the simple art of, as my husband so delicately puts it, making sh*t.
And you will find lots of people like us at the upcoming Stitches and Craft Show at Sydney’s Rosehill Gardens Racecourse, 3-6 March 2016. Scroll down to the bottom of the post for details on how you can win one of two double passes to attend the show… But now, which of these can you relate to? Fabric is like a life source that must be protected at all costs. She who dies with the most fabric wins! 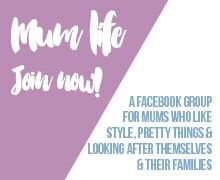 Pinterest is your digital scrapbook of ideas to create. No Pinterest fails for you! You wait until the kids have gone to bed at night so you can get out your craft supplies. This isn’t kids play people! Finally, craft fairs are like having all your favourite people in the same room at once. And each of your favourite people brought your favourite shiny things with them, like beads and ribbon and yarn, oh my! To win one of two double passes to the Stitches and Craft Show enter the form below. Competition closes on Thursday, 25 February 2016 at midnight AEDST. Please read the competition terms & conditions before entering. Prize does not include travel.